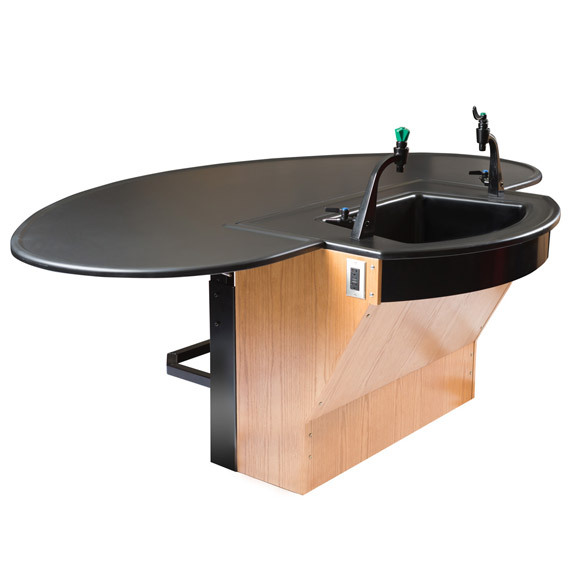 The Axis Infinity Fixed Height Table allows space for four students to sit, facing forward, at a space that can be used for lab and lecture. The height of this table is fixed at installation, and can be set between 30″ and 36″. This table can be easily retrofitted for the remote-controlled lift mechanism at a later date. Flexible electrical and data options.